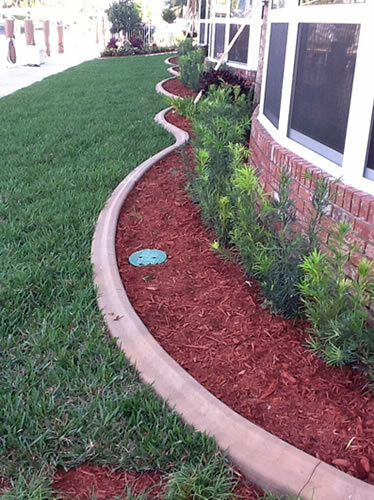 Curbs will add an attractive look to your yard or driveway. They will provide a clear definition of your drive areas with style. 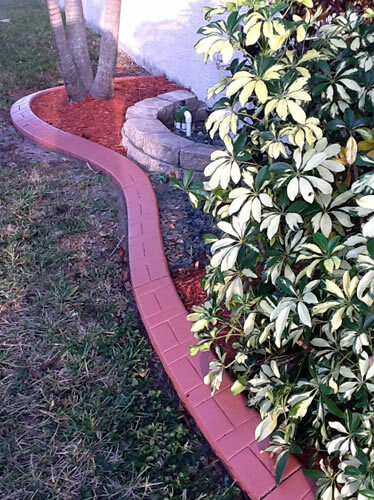 Curbs can also be used as small retaining walls. Such as, elevating a flower bed to add a more three dimensional look to your landscaping. 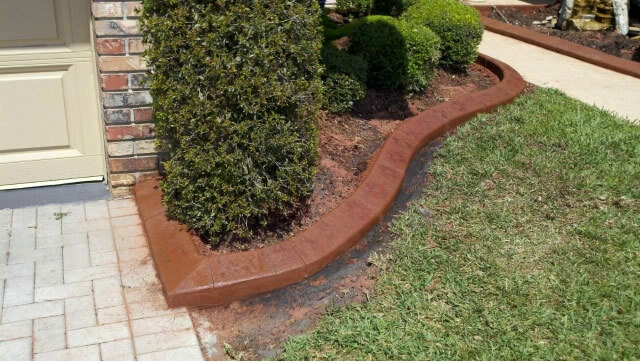 We can also paint the curbs to fit the design of the parking lot and adhere to your local fire codes. 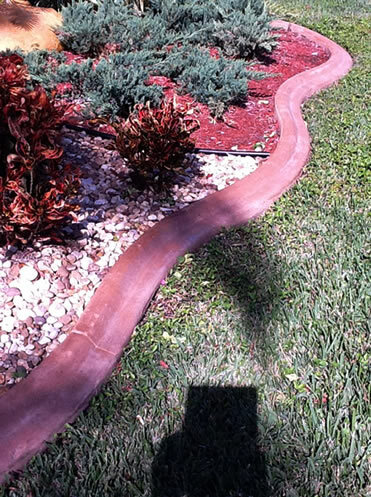 If you have existing curb that is damaged, we can remove and dispose of the damaged curbing and replace it with new concrete and/or asphalt curb. Multiple colors, patterns & designs. Integrated cable wire, for added strength. Maintenance is simple. Lawn mower wheels fit easily on the leading edge. 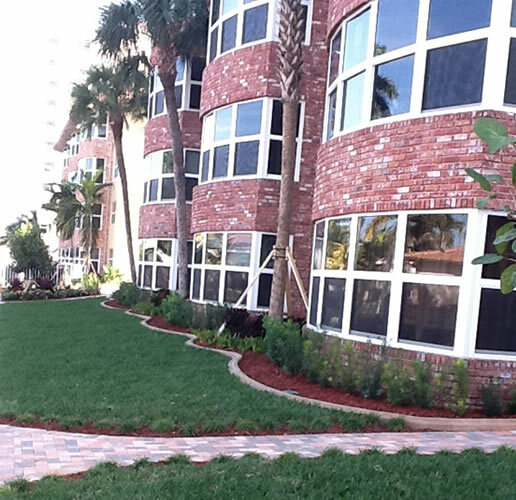 1 First, the trenching and ground preparation is completed, readying the landscape for installation. The trench is cut 2” deep and 10” wide to accommodate the machine and to insure that the front edge of the mower strip is at the same height as the firm sod. 2 We wheelbarrow the premixed concrete to specialized machines which form the curb to your predefined specification. 3 The curb is then gently hand smoothed to perfection. It is now ready for the coloring process and pattern application. A special rolling/stamping tool is then employed which creates a uniform pattern and stylish look. 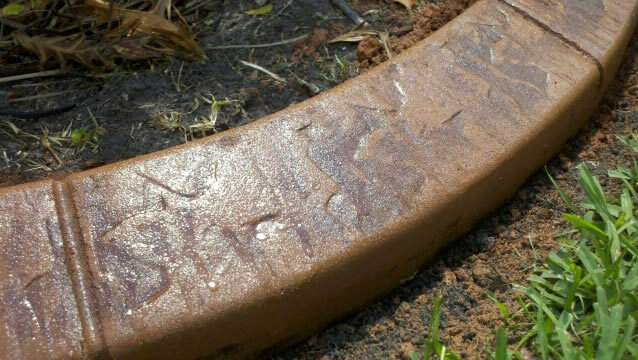 4 The curbing is now ready for the final stage of the curbing process, the protective sealant.